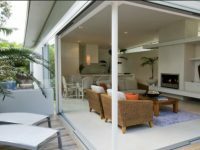 Are you planning to renovate your house? Do you think that adding roof gutters will affect the appeal of your house? Are you wondering whether you should have rain gutters or not? Well, you are not the only one dealing with this issue. There are many individuals who have the misconception that having rain gutters are a waste of money. However, they do not know that if there are no gutters, damage done to the house because the weather will be more expensive to repair. You might have been wondering how. Here we have some of the reasons why the installation of rain gutters are important. When there is no gutter, most of the rainwater will accumulate around the foundation of your house. It will enter the soil underneath and it will damage the foundation because it will get moist. You will also notice that the walls and floor will start to swell. You might notice some cracks in your tiles or walls because the foundation is absorbing water and it is becoming uneven. On the other hand, when you have a gutter, you will not have to deal with this issue. Through the gutters, all the rainwater is passed to the main drainage pipeline so water will not accumulate and you won’t have any issue. You will be surprised to know that even after having a slightly sloped roof, most of the rainwater may stay on top. 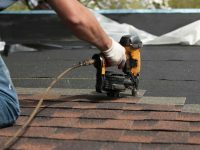 This will easily damage your roof in the following ways if the water stays for a long time. 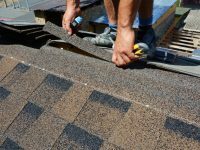 You will notice that your roof shingles will start to get damaged because of the water. If you don’t take notice immediately you might have to replace the entire roof. Rain gutters are manufactured with such perfection that they easily remove the water from the roof. This increases the life of your roof. Rainwater will not only damage the roof and foundation but also the landscape of the house. If water stays in your yard it can cause your yard to wilt due to excessive water. In the same way, plants get damaged over time. Excessive moisture in the house due to rain can also attract moss. Once the fungus is infested in your house, it will be hard to remove. With the help of a gutter, you shouldn’t have this problem. 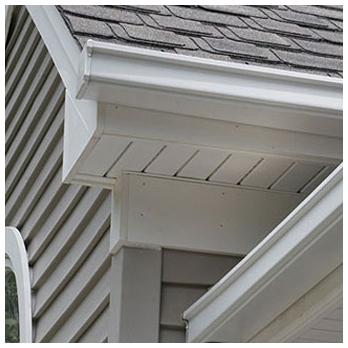 Make sure that you invest in the best quality gutters and protect your home for a long time. 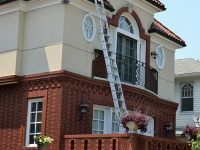 It is better that you work with experts like Mackie One because we have all the information related to the quality and installation of gutters you need.